(CBS News) Venus Williams is releasing a limited edition collection under her clothing line EleVen by Venus Williams in July inspired by her wardrobe in the upcoming Summer Olympics. Williams, who is known for her style on the court as much as her performance, designed the collection with Wonder Woman in mind. The collection is made up of a dress and a skirt and top combo with a red, white, navy and gold color palate. "I hope it will help me channel my favorite superhero and manifest another gold medal," admitted Williams in a statement. 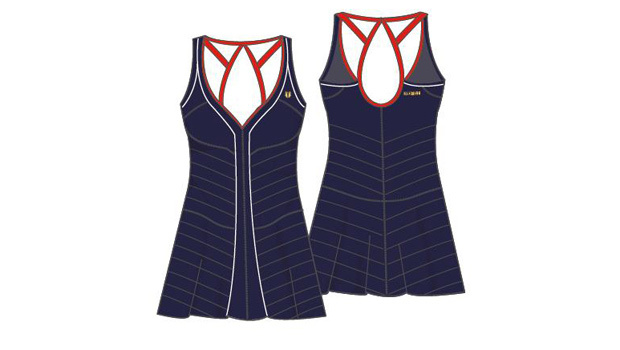 The limited-edition collection will be available exclusively at elevenbyvenus.com. Williams has earned a singles Olympic gold medal in 2000 and two for doubles in 2000 and 2008. Williams is one of four players who were slected to represent to U.S. Olympic Tennis Team. Th others are her sister Serena, Christina McHale and Varvara Lepchenko.